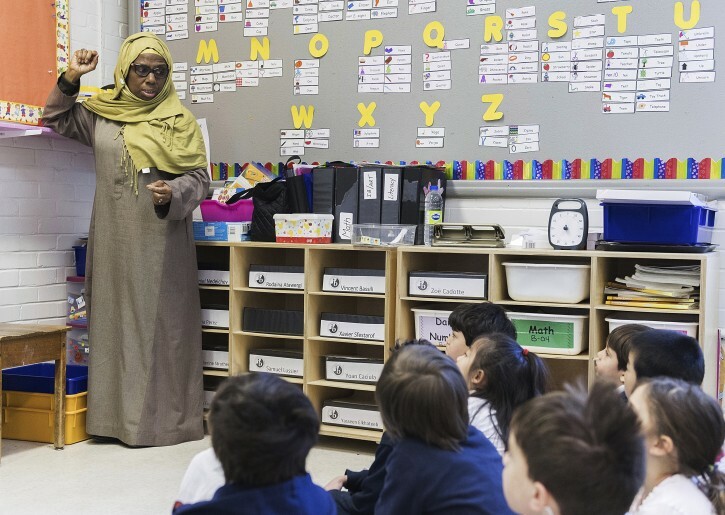 Montreal - A proposal to ban many public employees from wearing religious clothing is creating a fiery debate in the Canadian province of Quebec, where people are fighting to freely practice their religion — or to be free of it. This spells the end of freedom in Canada. Maple leaf addicts, you'd better quit before your yarmulke falls off. This is why Trump is so dangerous. We need Democrats to protect freedom of religion in the US before those crazy Canadians attack! Mitzraim wanted equality of the genders. They had women doing men's work and men doing women's work. They also didn't believe in Hashem. Where are the ancient Egyptians today? Banning any public money from going to private schools? This is what we need? FYI trump has never attacked us Jews freedom of religion. He had supported us fully. Even if he shall attack Muslim freedoms that's fine to me . Learn history. First they go after Muslims then Jews. Or first they go after Jews, then Muslims. That is why Muslims saved Jews during the Holocaust. They learned from what happened in Spain. “ Learn history. First they go after Muslims then Jews. Or first they go after Jews, then Muslims. Oops, posted as anonymous by mistake. It's the democrats that are anti religious freedom its the democrats who wish to remove religion from the public square with everyone only being able to practice their religion in their homes, but of course you can continue to support them and if they are ever chas veshalom in power again we are in big trouble. They already tell us that frum Jews are evil bigots when they say anyone who is against gay marriage or against men who claim to be women using the women's bathroom is an evil bigot.